FOX Business Network’s Charlie Gasparino reports that “the White House is trying to prod the rating agencies to accept the Reid plan, which gives them political cover,” while saying “Boehner’s plan creates political uncertainty.” Excerpts from the report are below, courtesy of Fox Business Network. These people do not want what is best for America. They don’t care about the rules, or about what’s right and what’s wrong. Obama and his White House and his Democrat Party are dishonest to the cores of their cockroach souls and they will do ANYTHING to get what they want. And, as we see above, that includes both lying and cheating. 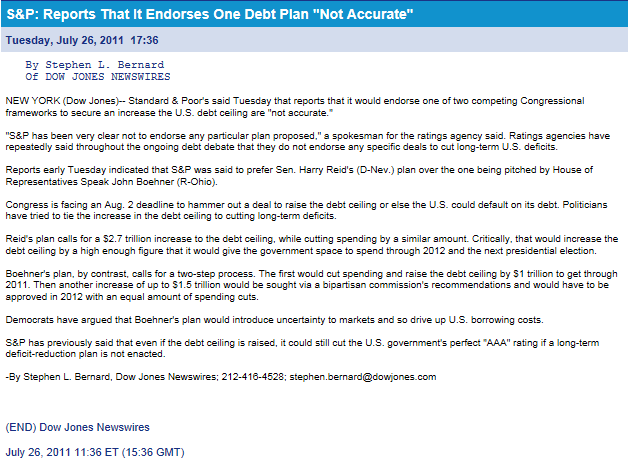 See more on the video report on the Obama regime illegitimately pressuring rating agencies here.